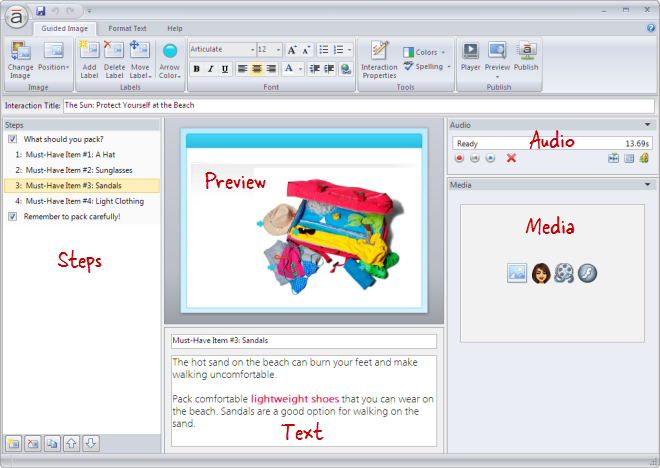 Steps: Located on the left side of the screen, this panel is used to manage labels for the Guided Image. 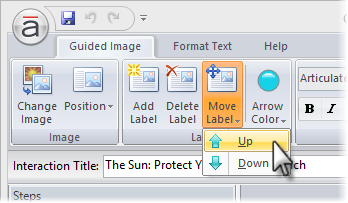 Preview: Located at the top of the middle section, this panel is used to arrange labels on the Guided Image. 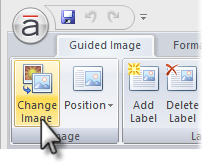 Go to the Guided Image tab on the ribbon, and click Change Image. 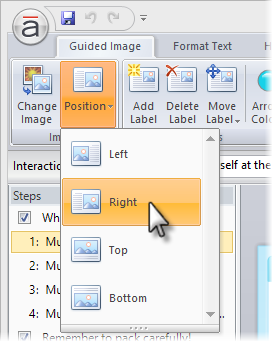 Go to the Guided Image tab on the ribbon, and click Position. 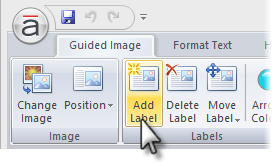 Go to the Guided Image tab on the ribbon, and click Add Label. There are two aspects to arranging labels: sequential order and spatial layout. 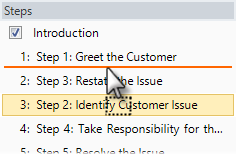 Sequential order refers to the order of labels in the Steps panel, which is also the same order they'll appear in the published output. Spatial layout refers to how labels are distributed across the image. Spatial layout is easy to control. 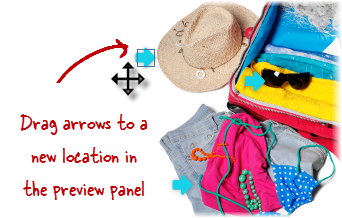 Simply drag the arrows to a new location on your image in the preview panel. 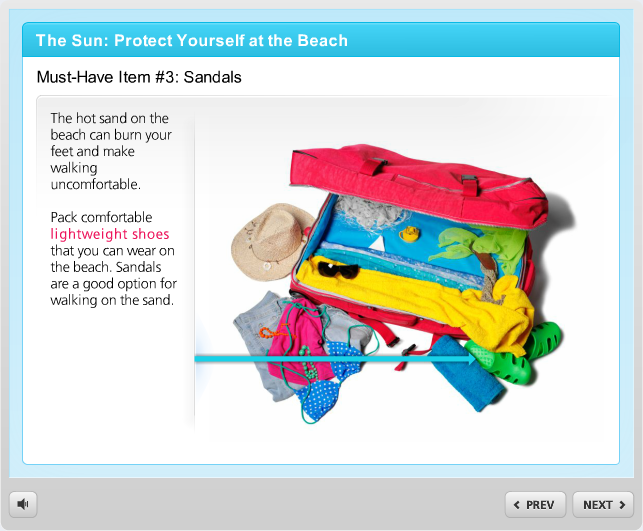 Go to the Guided Image tab on the ribbon, and click Arrow Color. 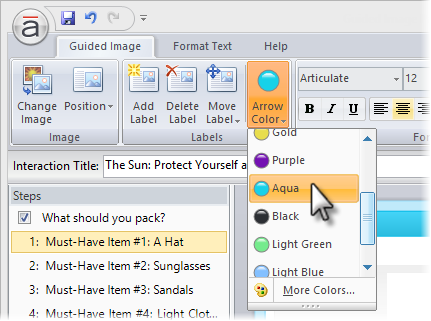 Note: All labels in the same interaction use the same arrow color. 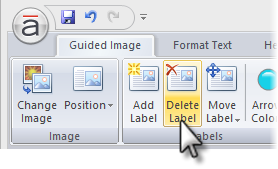 Go to the Guided Image tab on the ribbon, and click Delete Label.